Ask any first grade class at a church school near you to share a story in the Bible that talks about apples and it’s likely a myriad of hands will be raised waiting to relate an account involving Adam, Eve, and a snake. It’s only some time later they will likely discover their account had been shaped by a Western cultural bias that identified the fruit as apples. Of course, they may have been right, but that’s not what Scripture says. Being from Washington, I’m inclined to agree with their rendition of the story, but I’m willing to concede that conclusion may carry some bias with it. A trip to the tropics provided us with an opportunity to sample some of the other fruits enjoyed by the people of that area. Besides the mangos, guava, and papayas we find in our own grocery stores, we tried passion fruit, mangosteen, dragonfruit, and even had courage enough to try durian as well as several others. But one of my favorites was rambutan, shown here. Not only was the flavor of the fruit enjoyable, but its colorful exterior delighted the eyes as well. Since we really don’t know anything more about the forbidden fruit in the garden except that it was beautiful, it’s kind of fun to speculate about it. Do you think it had a pleasant aroma? After Eve took a bite, do you think she found it particularly flavorful? If it was similar to fruit today, that would mean the fruit encased seeds which would be used for propagation. If that was true, would there have eventually been more than one tree of that kind; or would the test have been specific to one single tree rather than to a species? Such fanciful thoughts are probably worthless but I think it would be safe to draw some rational conclusions. If God made it, it’s quite likely that all aspects of the tree would have been made appealing. Having said that, we should remember that God wasn’t trying to trick the couple into accidently making a mistake. On the contrary, God simply wanted to know they valued their relationship with Him above any other alternative, even of other good things. 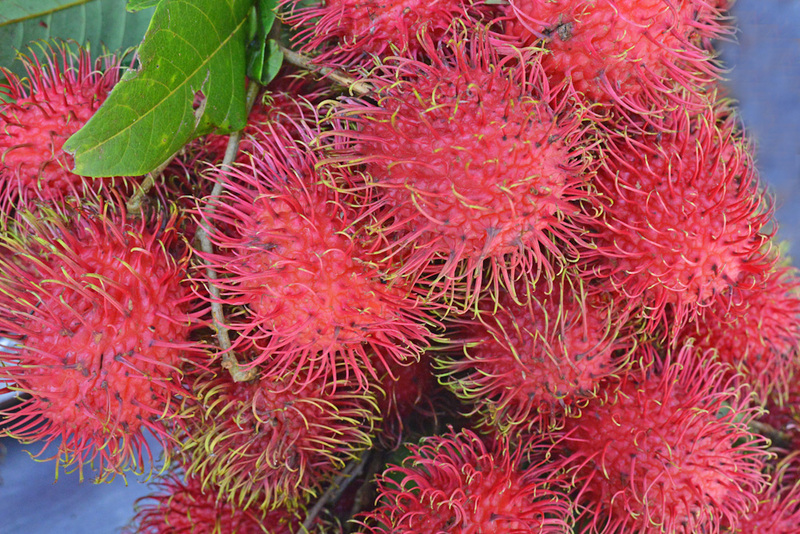 It was true in Eden and it’s true today – God gives us an abundance of good things like rambutan to choose from, only He wants us to put Him first.